Wash-N-Shine will not remove wax or harm painted surfaces. Wash-N-Shine has a pleasant citrus fragrance and does not contain harmful chemicals that may endanger the user. 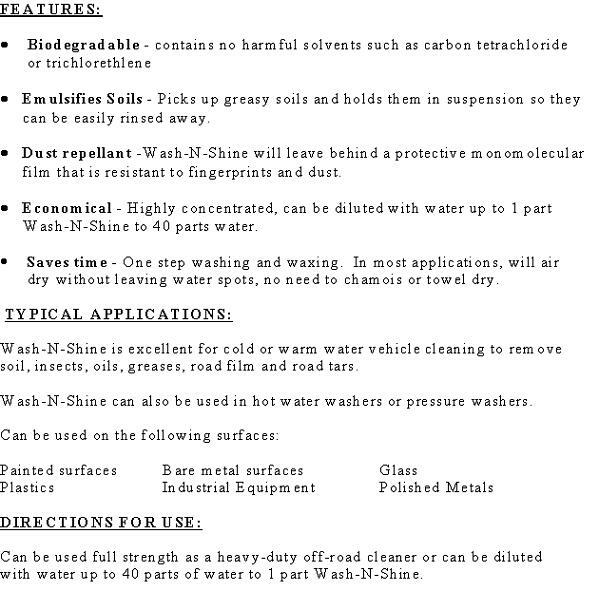 Wash-N-Shine is specially formulated to produce a uniquely clean surface with a protective monomolecular film when used on automobiles, glass, ceramics or polymeric plastics. Wash-N-Shine is excellent for cold or warm water vehicle cleaning to remove soil, insects, oils, greases, and road film & road tars. 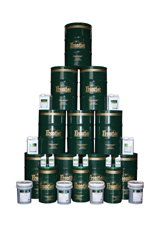 Wash-N-Shine can also be used in hot water washers or pressure washers.